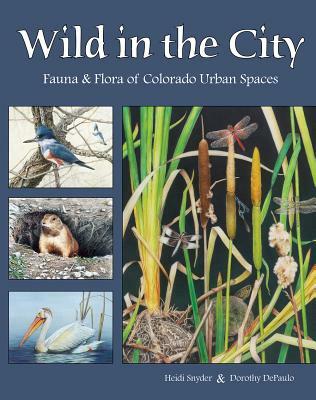 Join artists Dorothy DePaulo and Heidi Snyder on an inspirational journey of discovery as they explore the plants and animals in the parks and open spaces in the Front Range of Colorado. Both are nationally and internationally recognized artists and have spent countless hours of field observation and taken thousands of reference photos (some featured in the book) in urban green areas. Based on these references they have created detailed and scientifically correct drawings presented in an artistic manner. These gorgeous colored pencil drawings are unique in that the fauna and flora are shown in relationship to each other. The subjects of these drawings have been extensively researched and are accompanied by interesting facts. The purpose of the book is to raise public awareness on how nature interacts with an ever-changing environment and is intended to further reveal the range of plants and animals living in urban spaces.